Use this meditation to clear bad patterns and habits. 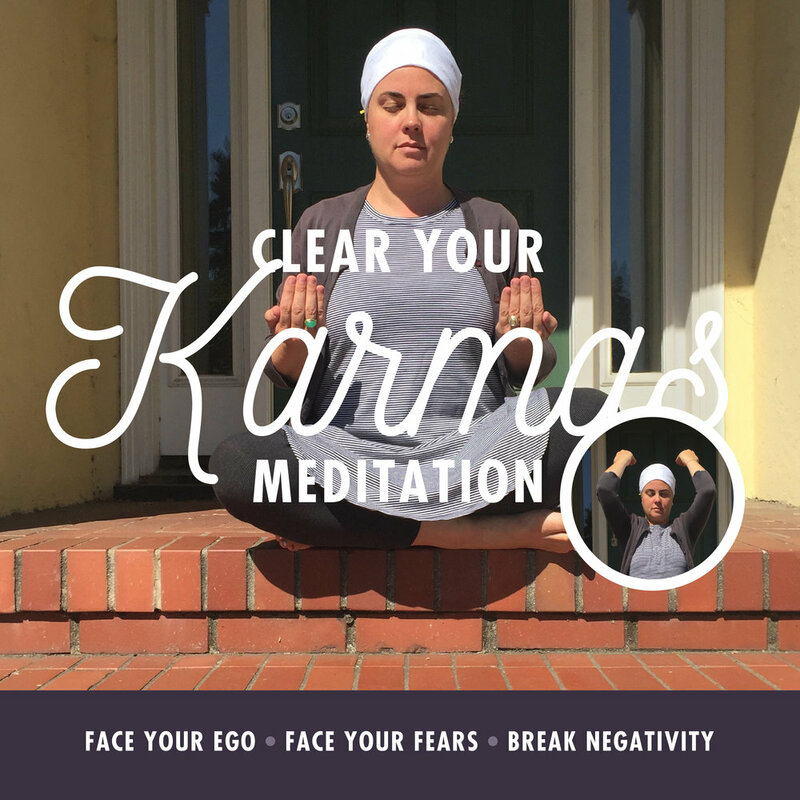 If you don’t clear your karma, you’ll be stuck in your duality. Meaning, you are not living in reality and you’ll feel deep pain. Eyes are closed (Closing the eyes creates darkness which affects the action of the pineal gland which gives us the sense of vastness and wholeness, a sense of belonging and connectedness. Wahe Guru, Wahe Guru, Wahe Guru, Wahe Jio - which each “wahe guru” you will complete one scooping movement (four with each cycle of the mantra). This mantra calls on the incredible truth, wisdom from within. 3, 7, 11, 22 min. daily practice for full effect. "Learn to let go of the past with meditation. Clear the path for the next step with clarity, love and strength"